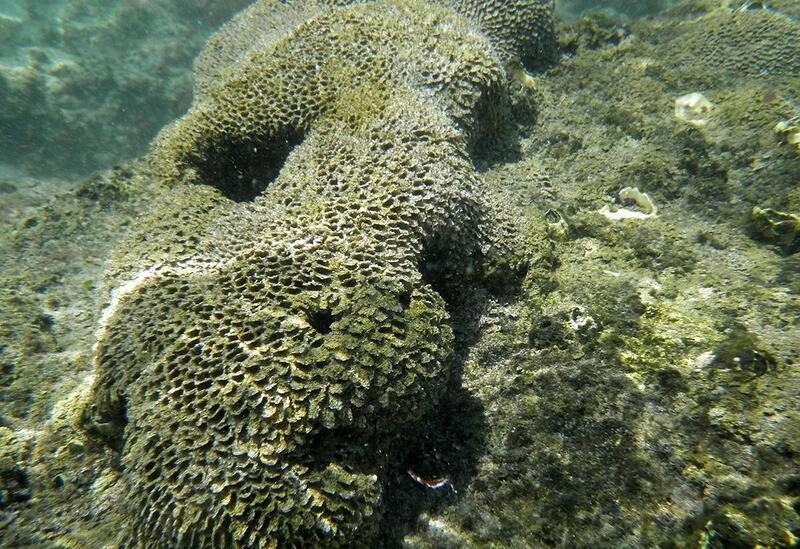 Bathtub Reef is located just offshore at Bathtub Beach Park, 1585 SE MacArthur Boulevard in Stuart. During the calmer seas of spring and summer, it is normal to see sandbars inching toward shore eventually attaching and creating beaches favorable for recreational use. These are also the conditions under which the reef does its best job at keeping the waves from eroding the beach. While this “bathtub effect” is one of the beloved features of the protected waters along the beach, it is important to note that recreational accessibility is greatly impacted by varying seasonal conditions. To listen to daily pre-recorded information on the beaches such beach closure notices, tide times, surf and weather forecasts, and the number of lifeguard towers open for the day, call Martin County's Beach Information hotline at (772) 320-3112. Martin County Ocean Rescue is on duty at Bathtub Beach from 10 a.m. to 5 p.m. While unique, ocean energy greatly impacts the fragile reef system at Bathtub Beach and can increase the frequency and severity of beach erosion. This type of reef system is not tall or sturdy enough to break up the wave energy throughout the fall and winter seasons, or in rough conditions like Nor’easters, tropical storms and hurricanes. Under these conditions, the water inside the reef can develop strong currents, and big waves breaking just offshore can cause extensive beach erosion. After rough conditions, this reef is tall enough to keep the sandbars from moving back to shore, resulting in a thin beach where the effects of erosion are much more significant. The result requires regularly scheduled restoration work and hurricane recovery projects. In addition to protecting this valuable reef, these restoration projects also provide critical protection for upland structures, infrastructure and MacArthur Boulevard.